Cut-To-Length Aluminum Coil Processing Line SAF – Southern Aluminum Finishing Co, Inc.
Redding, CA – April 13, 2016 – SAF (Southern Aluminum Finishing Co.) recently installed a Cut-To-Length (CTL) aluminum coil processing line in their SAF-West, Redding, CA plant. The heart of the line is a Herr-Voss 6 hi corrective leveler to enhance processing of non-ferrous coil for surface critical sheet with the flatness important for architectural building applications. SAF’s new Cut-To-Length processing line can handle 0.024” – 0.125” thick aluminum coils up to 60” wide, ID 18” – 22” and 100 feet-per-minute. Newly renovated electronic controls for both the leveler and the flying shear enable more precise and reliable production. An in-line slitting head and flying shear minimize processing time. The leveler’s rollers give SAF the capability to meet surface critical requirements for painted and anodized aluminum coil processing, not always available from other toll finishing providers specializing in carbon steel or other non-surface critical coils. The SAF-West CTL coil processing line supports both existing SAF manufacturing and third party toll processing orders from other manufacturers in northern California. It also adds to SAF-West’s 60” Blanking Line production capabilities. SAF now offers Cut-To-Length aluminum coil processing from SAF-West and SAF-GA facilities. 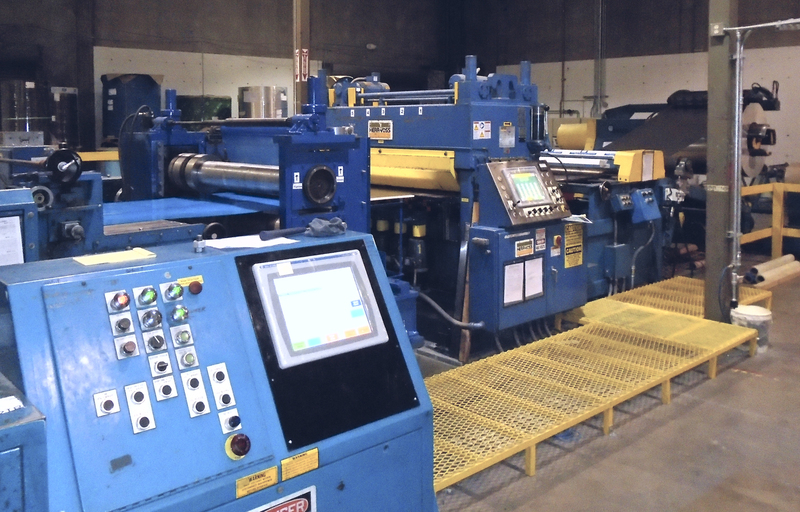 Combined with an expansive aluminum coil, sheet and extrusion inventory, this equipment enables SAF to reduce delivery times nation-wide for blanks and special lengths, while providing customers with improved aluminum sheet flatness and quality.